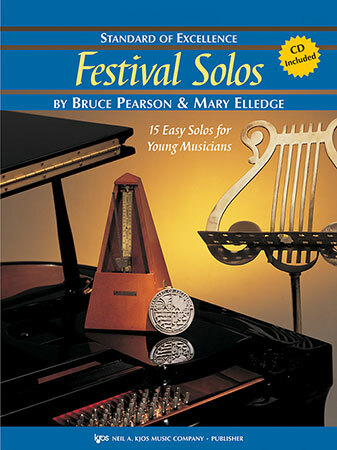 Fifteen easy solos for young musicians. Includes a CD with each book, and a piano accompaniment book is also available. Titles: Ancient Ayre; March from An Occasional Oratorio; Dance from Orpheus and Eurydice; The Sleigh Ride; Little March; Minuet and Trio; Rondeau; To a Wild Rose; March; Renaissance Festival; Sailor's Song; A Day in Venice; La Bouffonne; March and Polonaise. MARCH FROM "THE OCCASIONAL ORATORIO" by HANDEL, G.F. THE SLEIGH RIDE by MOZART, W.A. LITTLE MARCH by MOZART, L.